The organisers of this weekend’s Our Bury St Edmunds Whitsun Fayre are delighted to announce that the urban beach has been put in place this evening (Sunday) ahead of the second day of the event on Bank Holiday Monday. Circumstances beyond the organisers’ control had meant the beach couldn’t be installed in time for day one but the Chief Executive of Our Bury St Edmunds, Mark Cordell, said this evening: “Although we were naturally disappointed not to have the beach in place for Sunday, the fantastic weather and range of different free activities at the Whitsun Fayre meant that it was still a fantastic family day out and there were lots of happy visitors throughout the day. 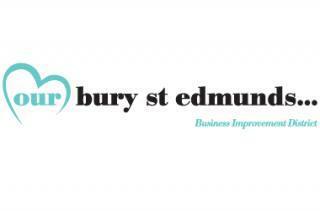 The Our Bury St Edmunds Whitsun Fayre takes place across Bury St Edmunds town centre on Bank Holiday Monday between 10am and 4pm. The urban beach is located outside Moyses Hall museum. For more information visit www.ourburystedmunds.com/whitsunfayre.